If this week was any indication, itai??i? ?s going to be a crazy lead up to the end of the year. The current economic situation doesnai??i? ?t seem to have dampened the partying spirit, with the weekend going by in a blur of new venues, film stars, leggy models and music. Friday night began at Taj Coromandel with the Belgian National Day celebrations, where Consul General Dr Bart De Groof played host. 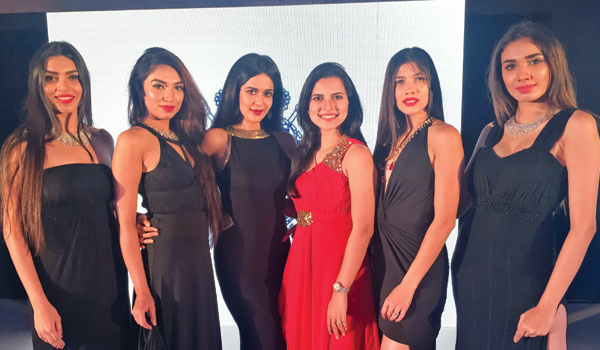 The traditional toast to the King was followed by a celebration of a different kind, with a fashion show presented by Mehta Jewellery. The connection was simpleai??i? ?diamonds and Belgium, not to forget Queen Paolaai??i? ?s visit to the Mehta Showroom during her Chennai visit a couple of years ago. We were treated to some serious ai???blingai??i? ?, made even more alluring as the models weaved their way through the crowd. A little sparkle here, some shimmer there and ai???poofai??i?? they were gone. For the troopers, the night continued on at the launch of Vapor, The Lounge Bar at Feathers Hotel. The highlight of the evening was the violin and saxophone duo Tetina and Luliaa who warmed up the crowd just in time for DJ Vijay Chawla. Saturday saw even more scurrying around as the good citizens of Chennai strived to make the most of what the evening had to offer. While Iai??i? ?ll be honest and say I barely managed, kudos to the rest who were seen everywhere, with not a hair out of place. Now that takes some serious talent. First stop for the day was thankfully a little earlier at Collage, where Divya Sheth & Pero by Aneeth Arora had the ladies stocking up for the season ahead. The next stop was at GRT Grand for the launch of Art Bistro. Breaking away from the more serious feel that usually accompanies such events, guests were invited to enjoy a fun chat between filmmakers Gautham Menon and Venkat Prabhu. The first in a series of conversations, this covered their working styles and casting choices, giving the audience lots to laugh about. The Kollywood connection continued at our final stop for the evening, Sidney Sladenai??i? ?s birthday, a ai???smallai??i?? gathering that turned out to be anything but. The popular designer had everyone from actors Trisha and Varalakshmi, to the entire fashion fraternity, land up to wish him. Sunday saw more beautiful faces with the launch of the Vivo V5 smartphone. Actor Dhansika and Darren Xu, COO of Vivo, with a group of models gave us the mandatory ai???selfiesai??i?? with the new phone.